Mod wont launch even when i already set the directory, it gives me an error report. The mod thinks the directory is in C:\Users\ ?\Documents\My Games\Company of Heroes Relaunch, when its in D:\Games\Company of Heroes - Complete Edition. No. There isn't, it doesn't scale well though. If you create a new faction it will always be loaded by the game, even if not part of a match. So the more factions you add, the worse the performance gets. Announcements / Re: Released update version 2.4.0.0 for Steam! 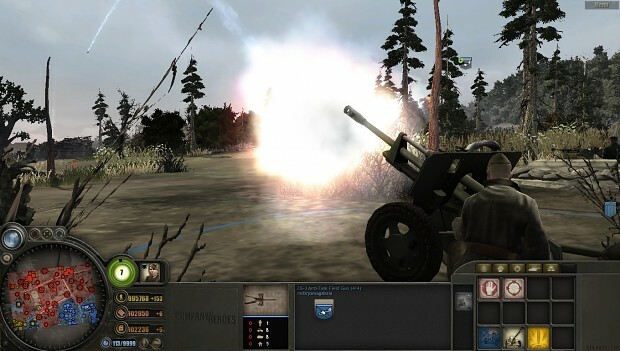 I dare say I still follow the Eastern Front mod since... 2009. This is the greatest mod I've ever seen. Thanks for the kind words ;p.
And it is the prototype gun. The shown version was never used in combat. Only 12,8cm K81 guns were used in active combat.